Mechanical binding is the method of book binding that uses a metal or plastic filament to bind the pages of a book together, allowing the book to lay flat. This method delivers accurate crossovers, is economical for short runs, and offers plastic variants available in many colors. 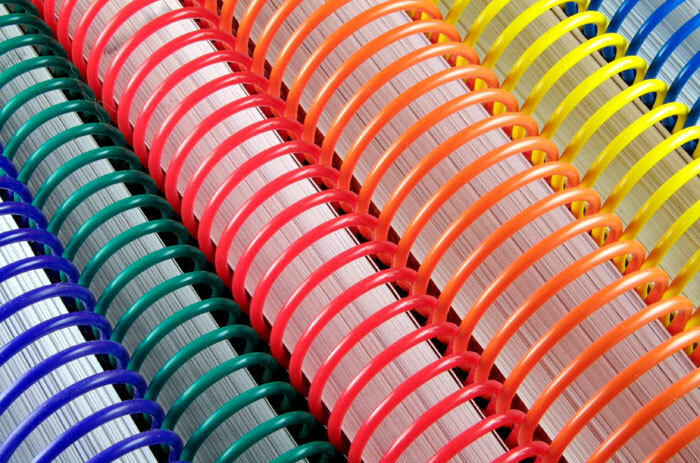 For manuals, school agendas, cookbooks, calendars and notebooks, mechanical binding is a time-tested binding style. After leaves are collated into a book block, the pages are punched or coiled in line on our state of the art Bielomatic Wire-O binder or Gateway Plasticoil binder. The binding holes are typically square or rectangular holes for Wire-O and oval holes for plastic coil. (If pages need to be added or withdrawn at a later date in a Wire-O binding to update or expand the information of the book, T-slots can be punched.) The width of the mechanism is selected depending on the thickness of the book. With multiple high speed Wire-O and plastic coil binders, Advantage has the ability to handle runs of any size. 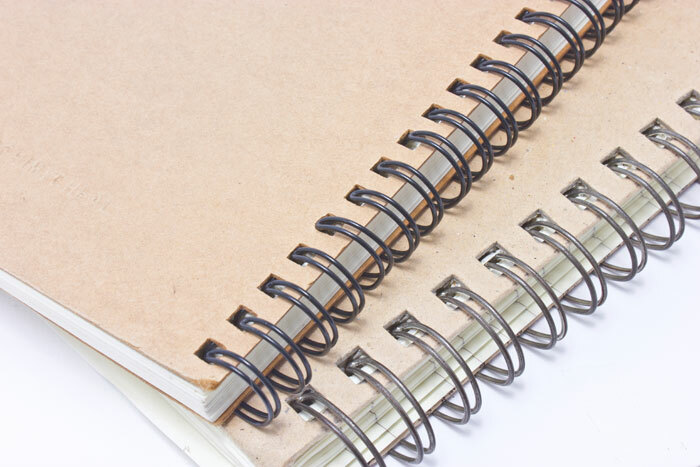 Advantage Book Binding does multiple styles of mechanical binding, including Wire-O binding, plastic, coil spiral binding, fully concealed wire-bound hardback books and plastic comb binding. These each offer slightly different advantages. Wire-O binding: Wire-O binding uses a double wire to spiral bind a book, forming a continuous hinge of double loops of wire to hold the book covers and leaves together. 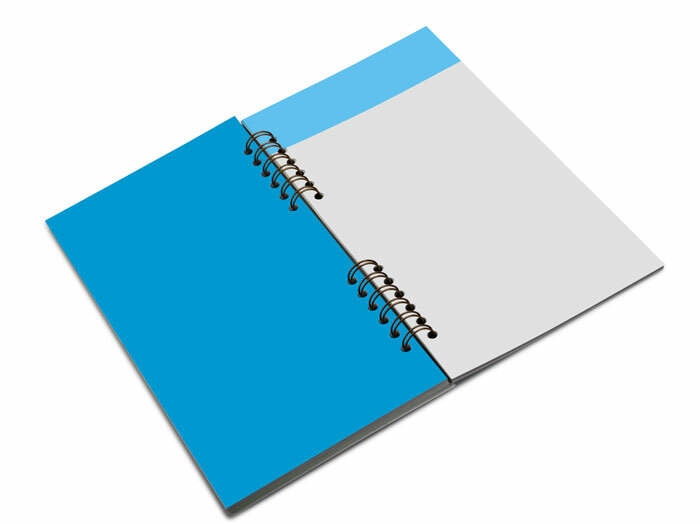 This is a versatile solution for many book binding needs as it is durable, lays flat, very cost-effective, can be opened past the lay flat limit and fold over onto itself, and gives a more finished look because the connectors and hinges’ ends are hidden on the inside back cover. Facing pages will also align perfectly. Plastic coil spiral binding: Plastic coil spiral binding is run through a series of closely spaced holes near the gutter margin of loose pre-collated sheets. There are multiple color, size and pitch options for plastic coil and the resulting book product is crushproof, durable, has a clean modern look, and is very economical. Plastic comb binding: Plastic comb binding is a plastic binding filament with regularly spaced teeth that open so they can be inserted into the punched holes and closed to secure the binding. It is economical for short runs, can have an imprinting on the spine, comes in multiple colors, facing pages align, and can be opened to have additional pages added.